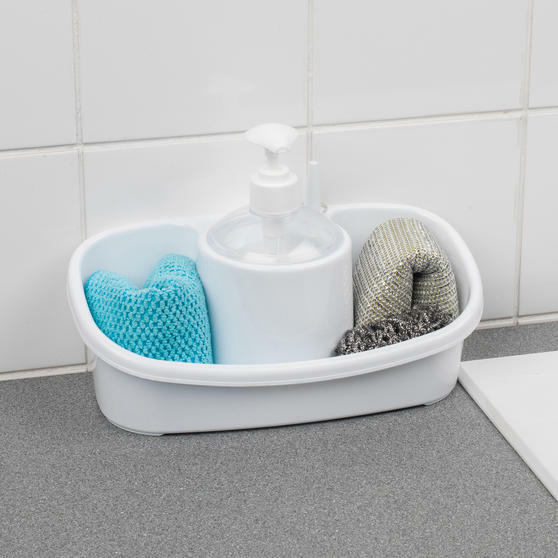 This user-friendly Beldray storage caddy lets you neatly collect all your sponges, scourers and cloths together in one place, making washing up that little bit easier. 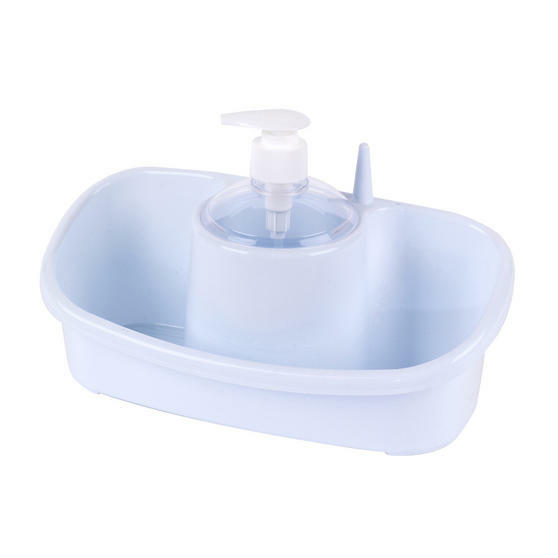 Manufactured from heavy-duty, easy-to-clean plastic with a sleek white finish, the compact unit has a ring holder for safekeeping and comes with a soap dispenser so you always have hand wash nearby after washing up. 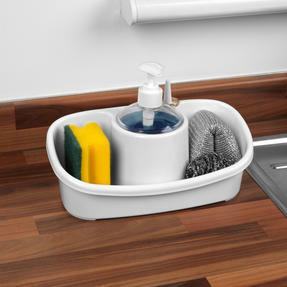 Whether kitting out your first home or simply looking to save space, this caddy is an ideal addition to any kitchen. This unique Beldray storage caddy helps keep all your sponges, scourers and other small washing accessories together for easy access. 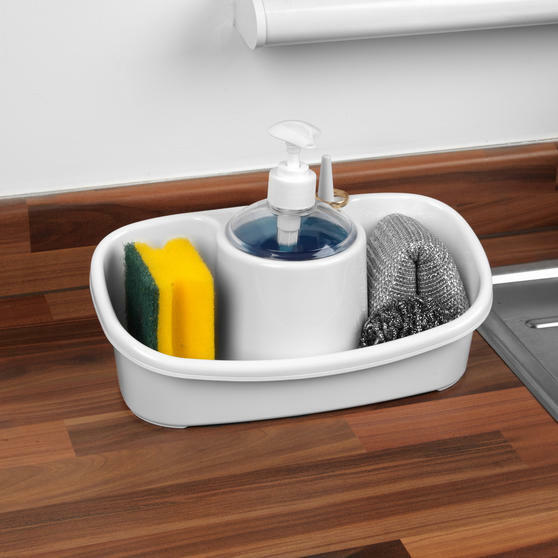 The compact storage solution measures 23 cm x 13 cm x 16.5 cm, resting comfortably on your worktop without taking up too much space. 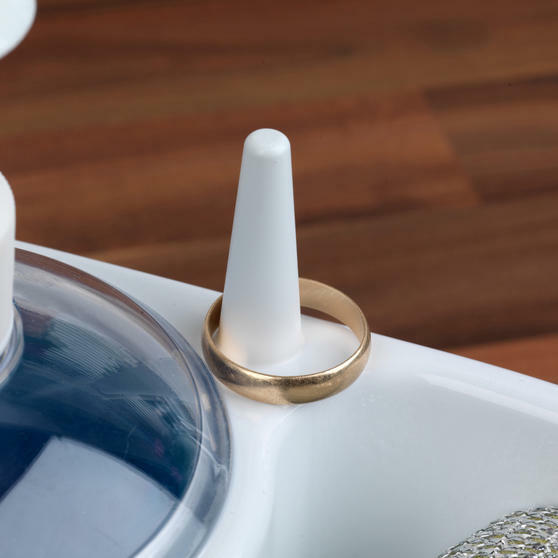 Made from durable plastic, it has a built-in ring holder so you can keep your jewellery dry and away from harsh cleaning chemicals. The unit features a centrepiece soap dispenser, allowing you to immediately wash your hands after handling dirty plates and dishes.